Following last nights opening event at The Queens Tap, the focus tonight turns to Old Town which sees the regular Songs of Praise night at The Victoria become a temple to all things mercurial pop and alt-rock (Super Squarecloud, Dead Royalties and the return of SkyBurnsRed), whilst The Roaring Donkey is the haven for culture vultures, providing a mixture of intelligent acoustica (David Marx and Steve Leigh) and poetry readings. Also happing in the vicinity is some lovely Psytrance (tribal beats meets alien dance vibes) from Zetan Spore at The Beehive and Baila, that wonderful coffee house meets old school vinyl emporium is joining the fray with music provided by hand picked DJ’s. Artist might like to note that those awfully nice people at Cradle Contemporary will be running a Sketch Crawl; artists will be wandering the venues capturing the inspiration and the spirit of the night on paper for a future exhibition. Saturday is a tsunami of music. The big daytime session is to be found at The Rolleston from midday, courtesy of The Academy of Music and Sound who showcase their students’ talents before the rest of the afternoon and evening mixes all genres of music from the delicate tones of Charlie Bath to the wild musical machinations of Sea Mammal, the blues infused Armchair Committee and goes out with a bang courtesy of The Ak-Poets. Through out the afternoon, The In-Store Sessions sees music in Billabong, Baila, That’s Entertainment and The Central Library. An eclectic mix is also to be found at The Beehive that evening (Cartoon Heroes, Swindon Samba) and another chilled session at The Castle includes an acoustic Port Erin and Colour The Atlas. Sunday has a family fun day at Riffs Bar, so take the kids along and mix music and shenanigans in equal measure whilst if you are in town The Beehive is the place to be as it plays host to the Shuffle wrap party. If you have made it this far, you may as well go out in style. Right, that is The Shuffle well catered for lets look at non-Shuffle related options. Riffs Bar on Thursday has a great little fundraiser for the Prospect Hospice that features the slightly funky indie of The Primaveras plus The Illustrations, a band who have evolved out of a warped acoustic bedroom duo into a sharp edged outfit that both channels the past and predicts the future. Also on the bill are Abi James and Brinliegh Gallagher. Great music, great cause. The bottom corner of Commercial Road comes up trumps on Friday as The Rolleston plays host to Replica, which as the name suggests are pop and rock cover band, whilst downstairs at Level 3 you can catch Floydian Doors, the only band in existence paying tribute to Cambridge progressive and LA hedonistic psychedelic rock simultaneously. Saturday’s non-Shuffle events are a tribute to Rammstein at The Victoria and Indie and rock covers from Happy Accident at The Swiss Chalet. 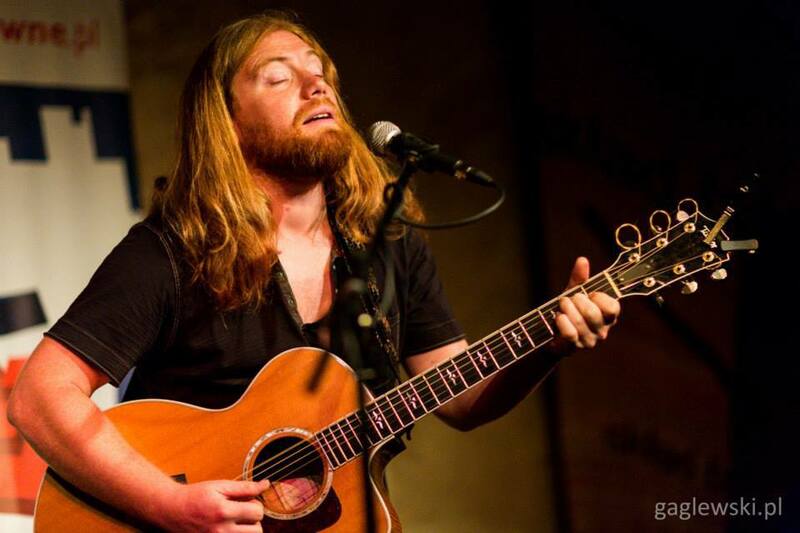 As if to prove the power of musical networking whilst playing the Mostar Blues and Rock Festival in Bosnia, members of Innes Sibun’s Band found themselves playing alongside and befriending Texas old country/blues troubadour Keegan McInroe (pictured) to the effect that he will be playing at The White Hart in Wroughton on Sunday…not normally on the direct route back home but it’s great when these things happen. Finally, at The Roaring Donkey on Wednesday those acoustic classical meets Latin meets jazz maestro’s Gilmore and Jaz can be found enchanting the crown. Why not join them? This week we have interviews with The Bateleurs and Absolva also music from Verses, Black Sheep Apprentice, Ells, Flycatfly, SkyBurnsRed, Blind River Scare, Ed Hanfrey, Charlie Bath and George Wilding. It’s always reassuring when I do the research for this article (okay, it may seem as if it’s hastily written on the back of a beer mat at a gig, but there is an element of research) and it is obvious that there are more gigs taking place than space will allow. That has got to be the sign of a healthy scene….or an overtly verbose writer, or both! So straight down to business. So, tonight at The Victoria, Songs of Praise brings you a lovely slice of alternative rock, headed up by that eight legged, orchestral grunge machine, SkyBurnsRed. Buzz-saw guitars and whiskey cracked vocals mix with sweeping classical lines and heavy beats to bring you one of the most original rock bands on the local circuit. Support comes from Dead Royalties (pictured), old hands in a new musical vehicle, natural successors to the Sub-Pop legacy and who have the ability to hammer home their music like a smack in the face from Cobain’s beaten up Jaguar guitar. Armchair Committee are the perfect band to kick the night off. Something altogether more classy this way comes, well it does if you are in The Beehive tonight, as Ruba Tempo return with their elegant and soulful , late night jazz sounds. Chuck Berry may have famously got his kicks on Route 66, well, the younger element can get theirs this Friday on the B4534, or more accurately at Riffs Bar as Teenage Kicks brings together the best of the emerging local talent. This show will feature I Am The Sea, Out of Time, Who Cares? Emily Jones and headlining the ethereal voice and delicate musical creations of Faye Rogers. And apparently it is Pirate Music night, though I’m not sure if that means you have to dress like Jack Sparrow or that bloke who sold me a bootleg Stone Roses DVD last week. Also with quite a piratey feel to them, Missin’ Rosie will be filling The Beehive with punked up Celtic anthems, wonky sea shanties and all manner of mayhem and shenanigans, image The Pogues on speed and you get the picture. 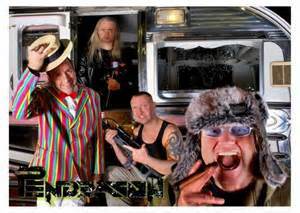 All manner of rock covers can be found at The Rolleston with Angel Up Front, now with a new singer and at The Victoria it’s time to put on the distress flares, tank tops, glam accoutrements and go “crazee” as Slyde Alive relive the heady days of Slade. Saturday brings you one of the last outdoor gatherings on the local calendar as The Running Horse bring a whole heap of their favourite acts for The Acoustic Garden. Not only is it the best of the local selection but top names such as Rachel Austin and Josh Kumra will feature. Just pray for good weather. 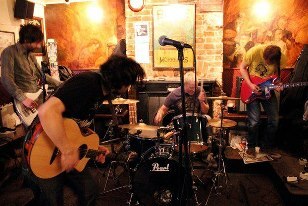 Two breaking bands can be found at The Victoria that evening. Stylish, anthemic indie comes courtesy of British Harlem and opening up is the heady mix of floaty, cinematic, dream pop and occasional rock urgency that is Old Colours, in many ways a Warpaint for the English market. It’s also a line up that sums up neatly where the contemporary music scene is heading. It’s maximum electric blues at The Rolleston with Innes Sibun and nostalgia trippers are catered for with The Illegal Eagles at The Wyvern Theatre and Chris “ Handbags and Gladrags” Farlowe at The Arts Centre. Two Sunday afternoon options look like this. David Bristow plays relaxed, old school blues at The Beehive and the Lazy Sunday Afternoon show at The Arts Centre sees hosts Mr Love and Justice joined by Alice Offley and Jane Allison. Monday sees some great ska driven, pop rock hit The Victoria as Robbie Sea’s short tour stops off to deliver a lesson in how to make music that is both cool and accessible, that will drive both a cult following and radio play. A great trick if you can pull it off, and he does. The battle for Wednesday’s music punters takes place in the usual venues and pits The Teddy White Band at the Roaring Donkey with The Black Feathers at The Running Horse. By the way, my records show that this is the 200th time you have had to suffer my inane ramblings and weird recommendations via this column. Doesn’t time fly when your having…deadlines! Tags: alice offley, angel up front, armchair committee, black feathers (the), british harlem, david bristow, dead royalties, emily jones, faye rogers, i am the sea, jane allison, josh kumra, missin rosie, mr love and justice, old colours, out of time, rachel austin, robbie sea, ruba tempo, skyburnsred, teddy white band (the), who cares? The one gig that everyone seems to be talking about is talking about is Pete Doherty’s show at Riffs Bar tonight. Always a divisive figure, the marmite man of under the counter-culture music has been the source of much debate amongst music forums and bar room banter. To some a flawed genius to others just a normal guy who got lucky. Well, for me he’s both, neither and everything in between, but all this controversy does beg the question, what do you want from your musical heroes? That the Libertines debut album contains some real musical gems goes without saying, but had the band that put him on the map not been born of such chaos, would the music press had given them the coverage that brought them to mass attention? No. Also imagine if you threw out all the music you own that was made under the influence, by mavericks, wasters and hedonists, you’d be left with a Donny Osmond album at best, not even The Bay City Rollers would survive that purge. I like my music icons to be contrary, articulate, dumb, genius, obtuse, broken and unpredictable and they don’t come more so than Pete Doherty. That said, if you don’t already have a ticket, then you have lucked out. If you prefer something a bit more sedate then maybe The Victoria is the place for you to be. After much to-ing and fro-ing (such is the fickle and mutable nature of live music promotion), the night is now headlined by Nick Tann and The Real Raj who will be mixing and matching their individual styles into a wonderfully unique performance. Due to logistical constraints Emily Sykes and Friends will now take the middle slot so make sure you get there early enough to catch her sumptuous and sensuous music. The elegant creations of acoustic troubadour Nick Felix will get the night started. Stiff competition comes from Violentango at The Beehive. Back in their South American homeland this band deliver their tango/progressive rock fusion to audiences of 20,000 and upward, to catch them in the compact and bijou environs of such a quirky back street pub is something of a steal. On Friday fans of tributes in general and Thin Lizzy in particular will want to be at The Victoria as not only do one of the finest re-enactors of Irelands most famous rock and roll sons take the stage, but also the quite brilliant Port Erin (pictured) and their trippy, funky workouts, chilled jazz vibes and rock drives open up proceedings. At the Rolleston, Celtic folk picks up a baseball bat and delivers tunes with menaces as Missin’ Rosie rock out like an English Flogging Molly or a punk Levellers. The Big noise on Saturday will be coming from The Victoria as those awfully nice chaps at The Ocelot invite all and sundry to The Ocelot’s 7th Birthday Bash. Not only can you come along and meet the team that put together this strange little magazine, you also get the forward thinking, backward looking, pop craziness of Nudybronque, the intense punk and rock collision of The Vooz, the shimmering post rock of Deer Chicago and the orchestral tinged alt-rock of SkyBurnsRed (no spaces.) And as a bonus if you go up to Jamie Hill and say, “you are The Ocelot Editor, I demand my prize” he will probably just look at you oddly, but it might be fun. Other options are blistering electric blues from the young and far too talented Krissy Matthews at The Rolleston or some Stones action courtesy of The Rollin’ Zones at Riffs Bar. And as if you hadn’t had good reason enough to go to The Victoria so far, on Sunday I honor of the fact that local folk/alt-country legends Bateleurs and the bearded, blues and sandals king, Jim Blair are playing Glastonbury this year, The Gig Monkey has arranged a bit of a celebratory show case. Joining them will be those purveyors of smooth Americana, Case Hardin,’ the exquisite folk of Charlie Bath and singer songwriters Luke de Sciscio and Tamsin Rosie Quinn. The week comes to its logical conclusion at The Running Horse on Wednesday with Leon Daye and Ben Cipolla. So sang Justin Currie on Del Amitri’s finest musical moment. Well Justin, this time you were wrong (though the line “American businessmen snap up Van Gogh’s for the price of a hospital wing” is genius.) I suppose it’s bad enough that our neighbouring towns, Bristol and Oxford, like to think of Swindon as a musical backwater, but it’s so much worse when the people of this town seem to be taken in by that self-fulfilling prophecy. Well this little musical musing is just to draw your attention to the brilliant musical odyssey I have been on over the last couple of weeks in an effort to restore your faith in the artistic capabilities and achievements of this town. Not my faith, I’m totally aware of how far above our image we metaphorically punch, and if you go to a few gigs you will be as well. It all started a couple of weeks ago at Riffs Bar, where I had been asked if I would be interested in running a couple of shows a month along the lines of Songs of Praise, a well established night at The Victoria. With more out of town bands asking for gigs than ever, I saw this as a great opportunity to bring even more new music into town and so The Secret Chord was born. As a bit of a launch party before the gigs started in earnest a bill of local singer-songwriters was put together, start with something familiar to get peoples attention. First up was Plummie Racket, a great front man when in full punked up- indie trash mode but in my opinion even better solo where his songs get breathing space and can be better explored and appreciated. Even by his own admission being slightly worse for wear and opting to take the opening slot, he played a blinder. Si Hall used to be a stalwart of the music scene, from early punky days with Buzztone and later with one of the best band names ever “Blind Dogs For The Guides,” it was great to have him back playing again. Still sporting an exceptionally powerful voice, well crafted songs and an easy stage presence it was like he had never been away. The phrase “silenced the room” is banded about too often but let me tell you when Faye Rogers played one guy was thrown out for dropping pins, the noisy sod. Ethereal is also an over used word, mainly by me, but that is also a suitable description. Spellbinding, fragile…I could go on, but I need to save some of those descriptions for later on in the article. All that was left was for Nick Felix; someone who I must admit has only just appeared on my radar (well you can’t be everywhere can you) to weave his intricate guitar style around his cleverly penned words and the night was done. A good turn out, considering the geographical hindrances of the venue and the appalling weather, a good time was had by all and a bit of money was also raised for Strummerville, the chosen charity of these new nights. As of April there will be two nights of new, unsigned and off the radar bands so check the usual places for details. Chapter II – Praise Be! Just under a week later and it was the turn of my regular night, Songs of Praise, to supply the goods. Only two bands instead of the usual three but quality certainly made up for quantity. Opening the night were Nudybronque, a band more normally found in the headline slot, such was the strength of the line up. They are a band that I have watched with interest, not to mention amusement, occasionally amazement and often for all the wring reasons. Having grown from an also-ran pop band they have flowered into a much more interesting proposition. Fuelled by underlying post-punk influences they now weave a darker thread through their music without losing the power, effective delivery and stage presence of their former selves. Infectious, addictive, charismatic and self-deprecating, all elements that will stand them in good stead. 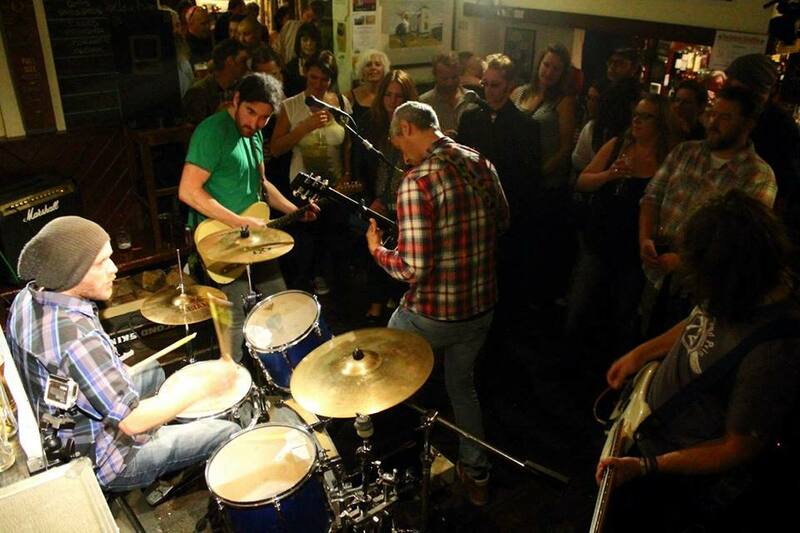 Headlining were the awesome Black Hats, a band that I have been bringing into Swindon for shows for a couple of years now and gradually we are seeing a bit of a increasing turn out for this Witney three piece. Imagine if The Jam were still going, had embraced the technology and changes in musical fashion but had held on to that fire that lay at the heart of their songs. That is Black Hats. Punchy, atmospheric and able to throw amazing hooks, grooves and powerchordery (that is a word honest) in equal measure. One band that played Songs of Praise last year that I couldn’t fit into this years schedule was The Manic Shine, the logical thing to do was to find them another venue in town to play so the following night I found myself at The Furnace in the capable hands of that awfully nice chap, Gig Monkey, and a four band line up of no small merit. Through the turn out wasn’t great, but that is the lot of original music at the moment, all four bands played as if they were at Glastonbury. Tides of Change played an animated set of alt-rock, and I mean animated. There were moves going on there from bassist Doug Statham that I hadn’t seen attempted since Hanoi Rocks called it a day. Up from Salisbury, middlenamekill play a hard hitting, consistently solid set that seems to defy any obvious pigeon-holeing, except to say that it is great. Even better is their attitude towards marketing themselves. Wandering the audience giving away free albums is a great way to get your message across, not only do you put your music into the CD players of people who might not have otherwise bought the album, it’s the sort of thing people remember. Being an out of town band, The Manic Shine played next and delivered a lesson in how to put a show on. A complex rock sound that incorporates funky grooves, Byzantine heavy deliveries, prog workouts and more riffs than you can shake a Jimi Hendrix at, all underpinned by triggered synths-sounds and chaos boxing. And they never miss a beat, entertain and enthral in equal measure and have a stage presence that is mesmerising. Young, talented and having the time of their life, it would be easy to hate them if they weren’t such lovely people to be around. Follow that SkyBurnsRed. Somehow they did. I did initially feel a bit guilty putting SBR on above The Manic Shine but in an effort to avoid the usual “I’m only here to see my mates and not sticking around for the bands I’ve never heard of” scenario it was an obvious way to play things. SkyBurnsRed always seem to up their game when you put them on a big stage and tonight was no exception. They seemed to grow in all aspects, more sweepingly classical, gruffer and grungy, more bass and beat driven, a perfect way to round up the night. One foot note comes with stopping for a couple of drinks in The Rolleston upstairs. Having struggled to get a significant numbers in for new and original music, it is slightly disheartening to see the place rammed and singing along to Queen covers. And before the usual defenders of the faith try to hoist me with my own words, let me lay it out one more time. It’s all about supply and demand, give the audience what they want and that is exactly what the Rolleston do, and do well. I’m not in anyway having a go at their policy; it’s a business after all. I think I just wish people would be more demanding of their music, but that said and done I doubt if any of the people currently fist punching to We Are The Champions are the target audience for the gigs I’m putting on, so I will leave it at that. Accept to say that people who support cover and tribute bands at the exclusion of original music remind me of people who go on holiday to wonderful overseas destinations and instead of embracing the local culture, instead hunt down the place that does English breakfasts, has the big screen TV showing the England game and try to order a pint of Tetley’s at the local bodega. Rant over…brace for verbal impact. It was lovely to witness the return of Rich Millin, local drum legend, music teacher, friend and twit! His reason for being here was in the role of stand in drummer for a wonderful Berlin based band called The Driftwood Fairytales (pictured), a band I had the please of witnessing at The Beehive one Sunday afternoon. Theirs is a blend of folk-rock and anthemic Gaslight Anthem-esque big singalong choruses. So enthralled was I by their music that I immediately purchase both of their albums, which I can’t recommend highly enough and a t-shirt (which obviously I took a pair of scissors to – too many sleeves for my liking.) After the gig, drink and tour stories flowed and international relations were put on a solid footing. And so we come to the final gig in this wonderful musical odyssey a night at The Victoria of rare outings by less testosterone fuelled bands than what had largely gone before. Opening the night was Emily Sykes fronting a band that provided bass and sumptuous backing harmonies to her fragile and vulnerable songs. Not the most ubiquitous of musicians these days, it was great to see her fronting her own music again, her previous band, The Julia Set, seems a long time ago now. Matilda came next, a lovely blend of laid back lounge jazz, Amy Hedges clarinet often giving it a sort of chilled, New York klezmer edge, Alison Kraus style country, dream-pop and folk. Upping the stakes slightly in the area of punch and dynamics came Emily and The Dogs and enchanting and seemingly effortless blend of jazz, folk and rock and skirting around the realms normally inhabited by the likes of Ani De Franco and Polly Harvey. Have you ever tried to get a dozen people to leave one pub at the same time? Impossible. So once the decision had been made to head down The Beehive to round the night off, all I could do was make my way there and see who actually followed in my wake. Surprisingly everybody, I think, and the night continued onwards to a sound track of lilting folk and fired up Celtic rock courtesy of Missin’ Rosie. I would tell you more about it, but my memory goes a bit hazy at that point. Suffice it to say stocks of Nurofen are in short supply in Swindon this morning. Chapter VI – That was the (2) week(s) that was. So, nothing ever happens in Swindon. Do me a favour! Why have X-factor, when you can watch and meet real musical heroes, why have Facebook friends when you can spend time in the company of actual friends. You can keep reality TV, I’ll stick to reality. Another one of those musical embarrassments of riches weeks, so it’s straight on with the show for a change. Songs of Praise at The Victoria tonight plays hosts to two of its favourites. Headlining are Witney’s Black Hats and if you have ever wondered what a band like The Jam would be doing today given the new musical fashions and technology they would have absorbed and embraced, then these guys might just be the answer. Support comes from chaps of the moment Nudybronque who make the sort of disposable underground pop that you will want to keep forever. More rootsy offerings can be found at The Beehive where duo, Two Man Ting, an offshoot from Afro-dance favourites La Cod Afrique, mix bright, looping guitar with djembe rhythms to make wonderous world-pop creations. 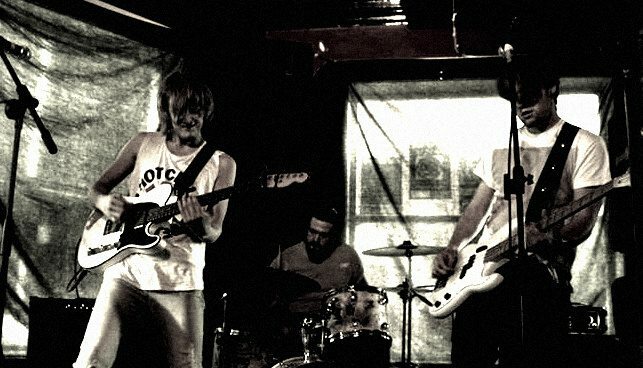 If blues is your thing, young electric blues rockers, Retramantic are at The Rolleston. The word legend is banded around far to readily these days, but in the case of The Victoria’s Friday night booking it really does apply. Still regarded as the number one sixties soul man, Geno Washington (not a tribute, your actual, real Geno Washington) still knows how to put on a great show, and anyone who inspired a Dexys Midnight Runners song has got to be a legend in my book, even Jocky Wilson, who also heavily influenced the band Darts. Possibly. The Furnace is playing hosts to a group of bands who are shaping the current face of rock. SkyBurnsRed don’t even have time to type the spaces between the words in their band name but play grunge meets alt-rock with a classical sweep, raw, emotive, aggressive, elemental, dark and sensuous. The Manic Shine also return armed with a second album just brimming over with great tunes and infectious grooves, think classic rock guitar icons being mixed with sub-prog, indie-dance and techno and all delivered with an intensity that has made their live shows legendary. Middlenamekill and Tides of Change kick the night off. Elsewhere The Great Nothing offer The Rolleston a different take on retro-rock classics or you can opt for old-school rock and roll with Josie and The Outlaw at The Beehive – miss this show and you can catch them at The Rolleston on Sunday. Something to shout about again on Saturday at The Furnace as Old Colours bring their gorgeous, cinematic pop-folkiness to bear and if their last show there is anything to go by then it is going to be a real treat. Dub vibes come courtesy of Salisbury’s Badrat and opening the night are Armchair Commitee and Charlie Bath. I’m resorting to using the “L-word” again as new-wave pioneer Wreckless Eric rocks up at the Rolleston aided and abetted by his wife Amy Rigby (pictured). The combination of the Stiff Records stalwart and the New Yorkers effortless pop (just check out Dancing With Joey Ramone from her back catalogue) makes for a finished sound that is as wonderful as it is unexpected. It’s covers at Riffs Bar with the Hi-fidels, but my tip is get out there early enough to catch support act NewQuay Times who mix covers and originals in a set that conjures the likes of Lone Justice, Tom Petty and even Throwing Muses. It’s Sunday and its time for: Warning, warning, gross nepotism alert!! Right you have been warned. At the Beehive afternoon session Driftwood Fairy have popped all the way over from Berlin to deliver some quality folk-rock. The nepotism bit comes when I tell you that none other than Rich Millin, ubiquitous drummer, tutor, connoisseur of three for a tenner wines, friend and twit is at the kit. Not only will you get some great music, I’m sure it is going to be a messy sort of re-union. Fans of more traditional folk music will want to keep Tuesday night free as Jamie Smiths Mabon bring original Celtic folk to the Arts Centre. On Wednesday there is a bit of a tussle going on for the acoustic fans. 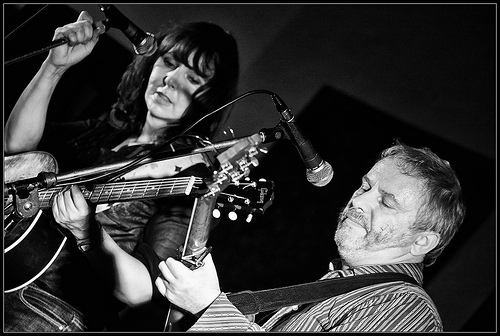 The ever-popular Running Horse Sessions will be playing host to Ethemia, a brilliant duo, with an effortless stage presence reminiscent of the recently defunct Civil Wars. Meanwhile, almost every other acoustic act in town is at The Furnace for Teenage Kicks Acoustic Spring Break, no space left to list them all, I’ll leave that up to you. On Thursday it is our regular Songs of Praise at The Victoria, this time with two of our favourite bands – Black Hats and Nudybronque, brilliantly executed energetic indie and pretty much a master class in live showmanship. Finally, though not listed on our regular page, we have combined forces with Gig Monkey and The Furnace to bring together a host of top rock bands. Local legends (both musical and alcoholic consumption) SkyBurnsRed top the bill and the real coup is that we have managed to bring The Manic Shine back into Swindon. 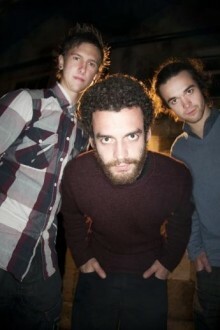 If you want to know where rock music goes from here, check these boys out. 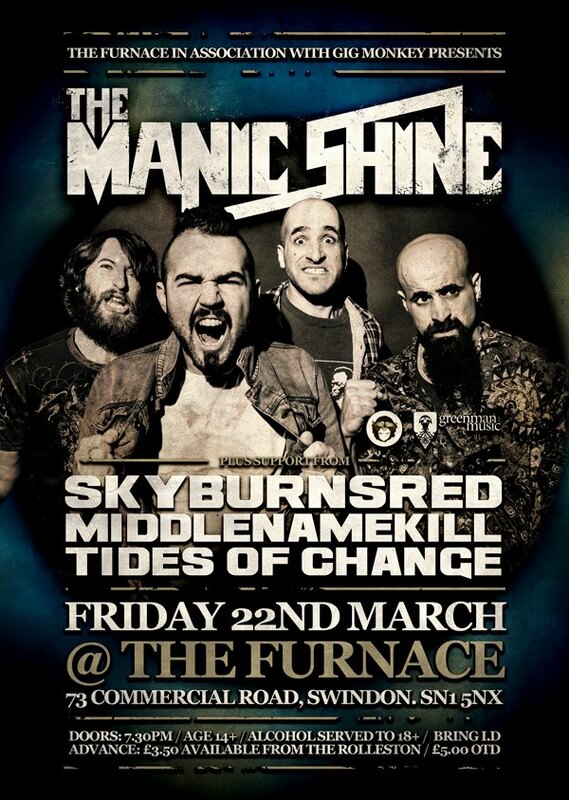 With Middlenamekill and Tides of Change also on the bill it is set to be a brilliant night.